Beer in a can is convenient and delicious! Cracking a post-recreation celebration beer makes a lot of sense. It makes even more sense when that beer is in a convenient, tasty package—such as a can. Until recent years, though, macro-breweries were the only businesses offering canned beer—if you wanted a micro brew it was glass bottle or nothing. But, 10 years ago, Colorado's Oskar Blues Brewery blew minds by canning their delicious craft beer. And thus began the craft canning revolution. So it's strange, given Bend's penchant for beers and the outdoors, that Central Oregon breweries have been slow to respond to the demand for canned micros. In fact, not a single brewery in the area is canning. That should change by the first of the year. Local breweries are finally getting in on the action and giving their beers an edge in a crowded micro brewing market. In this local race to get craft beer into cans, it looks like GoodLife Brewing Co. is going to be the first in Central Oregon to cross the finish line, but people in the industry say that nearly half of Bend's breweries are likely to be canning within a year. Ask any brewer or beer fan why they like cans and they'll break it down for you like this: quality of taste, greener packaging and ease of transport. Cans protect beer from light and oxygen degradation, keeping good beer tasting as it should. But cans also require less packaging and less energy to produce. They're easier to recycle and lack the fragility of a bottle. Because they're lighter than bottles, cans are cheaper to ship. From a marketing standpoint, cans make for a sexier canvas, too. And for active Bend folk, cans are a no-brainer since you can take them on the river, up to the mountain or out on the golf course. According to craftcans.com, a website dedicated to canned craft beer, 12 Oregon breweries are already canning beer—only Colorado and California have more craft cans on the market. Oskar Blues and Colorado's New Belgium brewery have really capitalized on the lifestyle angle with their cans. New Belgium has the "Shift" pale lager in a 16-ounce can and Oskar Blues' website prominently features mountain bikes and other outdoorsy scenes. So why have we not seen Central Oregon beers in a can before this? Three simple reasons: money, time and space. A number of area brewers said that they'd love to offer cans, but the process is prohibitively expensive. One brewer told us a bottling apparatus costs around $55,000 but a canning operation costs nearly $100,000. Tack on another $70,000 for the actual cans and you're looking at a big investment—and one that likely won't be utilized daily, as would an additional brewing tank, for example. "That's why you see a lot more 22s out there," said GoodLife brewer Curt Plants, referring to 22-ounce bottles. Plants said canning was in GoodLife's original business plan but it was later abandoned after start-up costs continued to challenge the brewery's budget. "After we scrapped it, I thought for sure that by the time we did it that we'd already have two or three breweries in Bend canning," Plants said. When the brewery takes its place as the first to begin canning in January, GoodLife will be working with the Portland-based mobile canning company, Craft Canning, owned by Owen Lingley. The mobile canning option is a popular one, said Lingley, who added that he is in discussions with several other Bend breweries. "I wouldn't be surprised if 40 percent of Bend breweries weren't in cans within the next year," Lingley said. Two of the breweries currently in discussions with Lingley are Boneyard Beer and Three Creeks Brewing in Sisters. Tony Lawrence, Boneyard's head brewer and co-owner, said canning has been in the plans for a long time but, right now, just brewing enough beer for his existing clients is the brewery's top priority. "I thought I'd be the first brewery in Oregon to can, but we just can't keep up with production right now," Lawrence said. For Deschutes Brewery, which recently boosted production dramatically, making enough beer isn't the issue. It's simply a problem of not having the space for a canning operation, said Jason Randles, marketing manager at Deschutes. But, he said, Bend's first brewery is keen to get their beers in cans in the near future. "It's interesting how Oregon has lagged behind, especially when Colorado and Montana have accepted it [canned micros] so readily," said Randles. 10 Barrel's Garrett Wales said they'd look to cans for seasonal releases. Crux Fermentation Project currently has no plans to can their beer, but their owners mentioned that nothing is off the table at Bend's newest brewery. 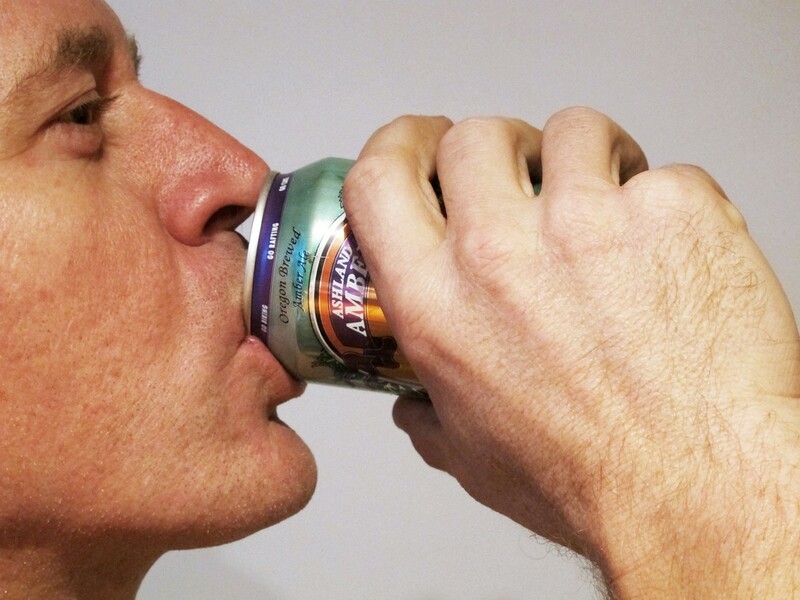 "Canned beers are totally hot and they totally fit the Bend lifestyle," said Dave Wilson, co-founder of Crux. Wilson is the former vice president of sales and marketing at 21st Amendment Brewery, a can-only San-Francisco-based craft brewery. The only brewery in town ready to invest in their own canning line is Worthy Brewing. Though the brewery isn't yet open and won't be until early 2013, owner Roger Worthington said the company will have its own canning line on site at their location on the eastside. And they plan to be canning by next March. "We're coming out swinging—canning and bottling," said Worthington. It sounds as if the Central Oregon craft-can void should be filled well before summer, which is good news. "Oh, hell yeah, everyone loves canned beer in the summer time," said Plants of GoodLife. • Cans lock in the flavor of beer better than glass bottles. No light is able to penetrate the cans and the seal on cans is tighter than a bottle cap, which keeps your beer tasting fresher, longer!